According to Christian beliefs, palm weaving in Italy originated during the crucifixion of Jesus Christ. 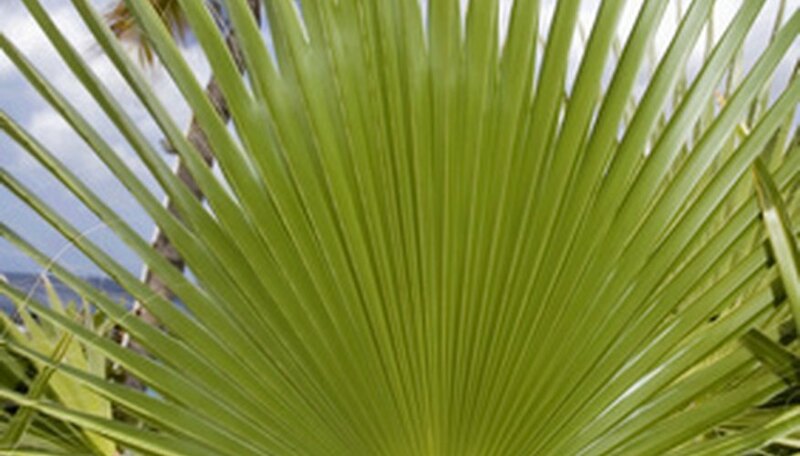 Since then, Roman Catholics and other cultures have carried on the sacred palm weaving tradition, especially during Easter, to bring good luck and show reverence, notes Socyberty.com. Many believe that palm weaving is difficult to learn, which has led to palm weaving becoming less popular over time. However, once you learn how to palm weave, you can create many different types of objects, such as baskets, crosses, and, as you'll learn here, braids. Take two long palm strands and place them next to each other. The one on the left will be "palm 1" and the one on the right will be "palm 2." Take palm 1 and loop it around the base of the strands, wrapping it counterclockwise around palm 2. Palm 1's loop will end up on the left side. Take palm 2 and wrap it counterclockwise behind palm 1, making it to the left of palm 1. Using palm 2, make a 1/2-inch loop, and put it into the already formed loop on palm 2. Pull the loop all the way through the other loop. Make a 1/2-inch loop with palm 1, and thread it through palm 2. Thread palm 2 through palm 1's loop, and continue this pattern until your hands reach the top of the strips. Fold the ends of the palm strands down. Insert the strands into the nearest loop to complete the braid.